I can’t remember exactly how I found this song, which eventually became the inspiration for this new website (similar to how “The Black Brigade” by Mercenary inspired my previous effort at BlackBrigade.org). I believe I typed into Google “positive nihilism” or something similar, and being we live in a society that values entertainment above all else, this song was near or at the top of the search results. Never heard of the band before, but it is a catchy tune. I love music. When people listen to music, they either hear the music front and center, or they hear the lyrics first foremost. I tend to believe that most people hear lyrics first, especially women – I have no data to back up this claim, other than my observations – melodies, harmonies and rhythms are much more complicated to understand than even our overly-complicated English language. And let’s face it, most pop-music today boils the diversity and complexity of the English language down to “I’m in love with your body” or at best the repetitive cleverness of “I’m all about that bass, that bass, that bass, no treble” which the earbud-wearing iPhone kids of today probably don’t even understand (you see, there used to be two knobs you’d adjust on this thing called a stereo). Men were the hunters, women were the gatherers, and so for men to be successful hunters they had to listen to the chaotic noise of the forest and be able to hear the distinct sounds of the movement of his prey. It is why heavy metal concerts are mostly sausage parties – women hear noise, men hear the complex melodies, harmonies, and rhythms. “The Happy Nihilist” is one of the few songs I listened to the lyrics first. For a poppy-sounding song about such a deep and difficult concept and philosophy as Nihilism, they are pretty good. The music itself isn’t all that interesting, but it serves its purpose in delivering the message of the lyrics. A few “Millennial Whoops” thrown in for good measure, and it could have been a hit, I guess. What the hell do I know, I’m still listening to “one-hit wonder” Dream Theater. About the things that I need? “I am a happy nihilist, No absolute truth does exist” – The statement itself is an absolute truth, so I disagree. If you say “There is no absolute truth” that is an absolute truth by definition. “When I decide to shake my fist, I only got myself to blame, cause we’re all players and life’s the game” – he’s accepting blame for his anger at the universe and existence here. I think the cliche of calling life a game was just to rhyme with blame. Some people play checkers, a few play chess, but most just play with themselves. “I only take what I need, I am so light on my feet, I will not stop or concede, I am not driven by greed” – this sounds like minimalism, which is a natural result of nihilism, the other natural result being hedonism. Once you figure out there really is no point and no meaning to life, ultimately, your expectations and goals are forced to change. It is very freeing to appreciate what you do have and align yourself towards the simpler things. No getting caught up in rat races for nihilists. “No moral compass for me, It’s all just natural feelings, Existence has no meaning, There’s no such thing as happy” – Traditional morality, maybe not, but a code of ethics that aids in navigating this existence? I hope so. Sure, those ethics might be based on natural feelings or have evolved via nature to best benefit the species and ensure our success and survival as a whole, but they can also be based on reason. The meaning of existence could be as simple as existence itself, but obviously meaninglessness creeps in considering cosmic timescales and the fact that one day the sun will swallow the Earth. As far as happiness as a thing, it depends on the definition of the term. We humans evolved to laugh and love and find joy – is it all just nature selecting those traits for our survival? I don’t know. Happiness is elusive, and I don’t know that anyone is really ever truly happy in this harsh and brutal and painful existence, but there are fleeting moments when we come close to it. Is that enough to endure existence? Obviously it is, or we wouldn’t be here. “But late at night when I sleep, I dream of more than I see, There’s something burning in me, A driving need to be free” – This is why people discover nihilism. We are not satisfied with standard answers to the questions of existence. Nietzsche wrote about nihilism being a transitory state towards something else, some greater understanding. Maybe we’ll never get there – he didn’t, so what hope do we have? – but we can try. Because we need to. “Why do I sit here and think, About the things that I need? There’s nothing left to believe, Or is it all just a dream?” – We could be living in a simulation. Who knows? What is The Matrix? “I’ve taught this to myself, Piled books up on the shelf, But it still hurts like hell to trust nobody else but me” – Nihilism must be self-taught, because it does free the individual from the rules and responsibilities that govern society as a whole. The Powers That Be don’t like people who are skeptical of everything, and place their faith, trust and belief in nothing. But it is exhausting to trust no one and feel like you can only depend on yourself. “I used to read everything, I used to need nothing, I put my money on me, I used to be something” – The temptation once you understand that life and existence is ultimately meaningless is to quit striving, quit trying to become a better human, quit trying to achieve and “be something” because you know you are a speck on a speck, spiraling around a speck, hurtling through a vast universe (or even universes). The timescale is infinite and the memory of the universe is short. Ashes to ashes, dust to dust. When you believe your life has a point and purpose, you bet on yourself to win (whatever that is) or die trying (the only thing that is guaranteed), because no one else is going to do it for you. We need a purpose, even if it is to fully understand and accept that existence is ultimately meaningless. What do we do with that understanding? “Now I can’t sleep, Cause I’m not happy” – Oh boo hoo! There is great freedom in nihilism, if you choose it. If you can’t sleep, go to the gym and work those muscles the way they were designed to be worked, and knock yourself out for the night via physical exhaustion. Sure, even if you get into shape, ultimately you’re going to grow old, shrink, become weakened, and die – but it matters now, doesn’t it? “Whoa x8” – Millennial Whoop appealing to hipsters. “Why am I haunted by the metaphysical? Is it a cosmic lie or is it literal? The books I read that used to free my mind, Has made me more blind but the truth I’ll find it” – Maybe he’s pushing through nihilism here, or trying to, to find out what is on the other side, if there is an other side. 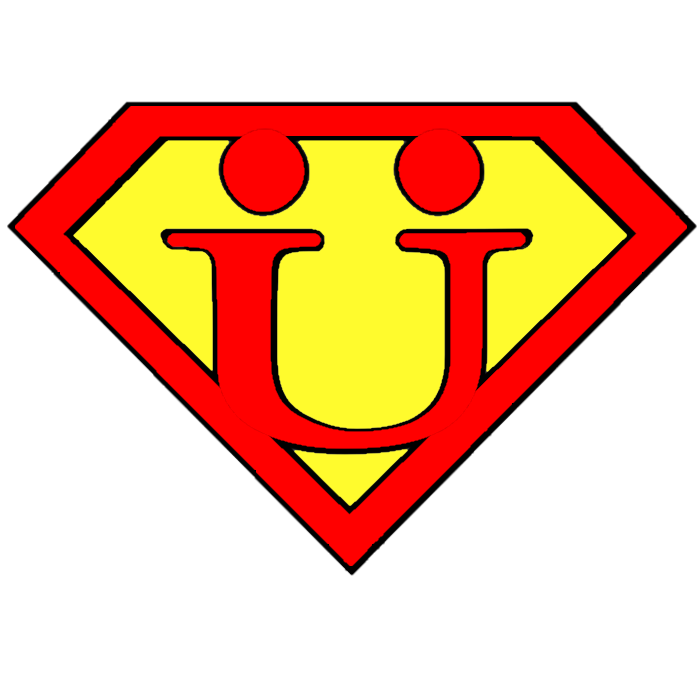 Nietzsche considered people who did so “ubermenschen” or “supermen.” A better translation of the word is “over-men,” above the rest of humanity on a higher level. A wise man knows that he knows nothing, to paraphrase Socrates. “I was a happy nihilist Now I’m wondering why I exist” – Nihilism is not the end. It is a transition. We should never be happy with where we are at. We should strive and search for more, even if we don’t know what that “more” is or if it even exists. Dare I say it, it’s about the “journey” (ugh), even if we circle around to where we started.